Image Source: Q Mobile website. Disclaimer. I have no affiliation with Q Mobile in any ways except that I am using one of their products and this post is not about marketing their stuff. I am what they call a “loyal customer”. I have been using Android smartphones for a couple of years and now I think I am addicted to them. There’s loads of apps available for free, the features are great, you remain connected anywhere, anytime, there’s maps (online and offline), great camera, WhatsApp, Viber, Skype. Man it’s a world out there. Previously it was HTC or Samsung, but now my choice has shifted to Q Mobile. Here are some reasons why I would prefer Q Mobile smart phones over any other brand. 1. Price. They are inexpensive. I won’t call them cheap but inexpensive is the right word. A Q Mobile with a monstrous 5” screen like the A 10 costs like Rs. 15,000 which other Android powered phone with an 8 MP cam, dual flash, face camera, and all other bells and whistles can you find in this price range? None. 2. Backed by Guarantee. Yes, you get warranty and back up support. In case it goes wrong, just send it to Q Mobile for repairs. I got my Q Mobile screen replaced after it cracked in about two weeks time. They have service centers all around the country. 3. All smartphone features. You get the best of smartphone features in them, from Wi Fi to Bluetooth, to face came and dual LED Flash, dual core, quad core and off course the latest Android versions. 4. Basic models are inexpensive. Should you decide not to go for a smartphone then there’s plenty of basic models to choose from that cost from a Rs. 2000 and upwards. And believe me they are as good quality as the expensive ones. 5. Variety. 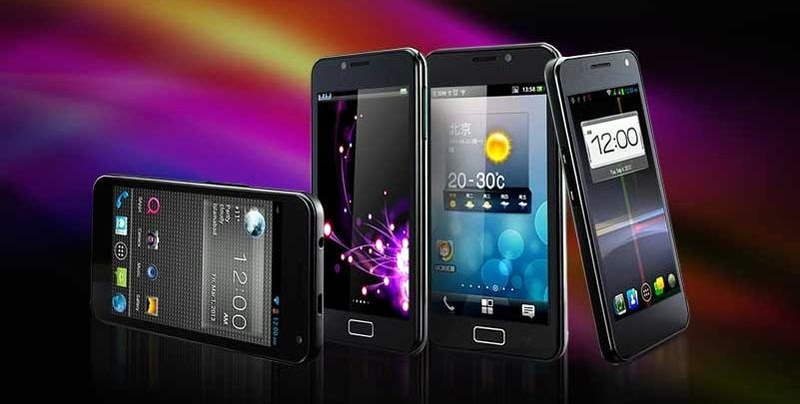 Q Mobile has over 50 models to choose from, starting form the basic bar phones, QWERTY ones and the huge smartphones. So there’s obviously one for you out there. 6. Value for Money. Q Mobile offers best value for money. If you buy the latest Samsung S4 for Rs. 64,000 today, by the end of month its value will have depreciated to Rs. 50k and sure enough in a year’s time it will sell for around Rs. 40 k or less. You end up loosing more money. But with for a top of the line Q Mobile which you bought for Rs. 19 k how much will you loose? Even if you loose 50 % in a year its still worth it. 7. Dual SIM: I never knew how simple it was to use the dual SIM feature till I started using Q Mobile. Now I don’t have to carry two mobile phones and two different kinds of chargers everywhere. The dual SIM has some very nice features in the OS itself. 8. Synchronization Software. Q Mobile has its very own sync software available at their website for backing up data and contacts on your PC. Besides this it also offers a host of features like sending SMS etc. 9. They are trendy. Q Mobiles are not those simple Chinese looking phones with irritating caller tunes anymore. They are trendy phones just like any other top of the line brand. 10. It is quality stuff. I think the quality is quite good. Off course it doesn’t compare to the latest Samsung S4 or anything like it but it does carry the bells and whistles. The touchscreen is quite responsive, the apps work just fine, A 10 has dual core and now the latest ones I hear have quad core which all comes at a very low price. So, if you have oodles of money to spare by all means go for the latest Samsung or any other thing you fancy. But if you are someone like me who values his hard earned money, I would say think before you spend it on expensive phones and consider buying a Q Mobile. My friend has a Noir phone from Q mobile. It’s seriously awesome. Sleek and gorgeous in look and the features are great. I was surprised, to be honest. I might be considering to buy it now.